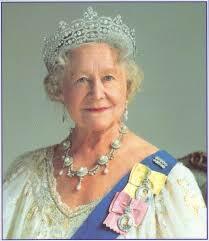 Queen Elizabeth, the Queen Mother of England. 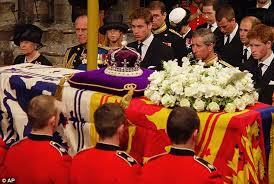 One of England’s most beloved members of the royal family was Queen Elizabeth, the Queen Mother. 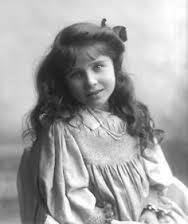 Elizabeth Bowes-Lyon was born on August 4, 1900; her father was Claude Bowes-Lyons, known as Lord Glamis and later the 14th Earl of Strathmore, and her mother was Cecilia Cavendish-Bentinck. There has been some confusion as to her actual birthplace but officially her birth is registered in Herfordshire near the Strathmore’s country house in St. Paul’s Walden Bury. Her family also had a house in London but their ancestral home was Glamis Castle in Scotland and this was where Elizabeth spent most of her childhood. Later during World War I Glamis Castle was used as a military convalescent home for wounded soldiers and, even though she was only 14 years old at the time, Elizabeth was able to help with the war effort by assisting the patients in writing letters home and keeping them company during their hospitalization. In 1939, King George and Queen Elizabeth traveled to Canada and toured the country from coast to coast. Then they went to Washington, D.C. and this marked the first time in history that a British monarch had ever visited the United States. 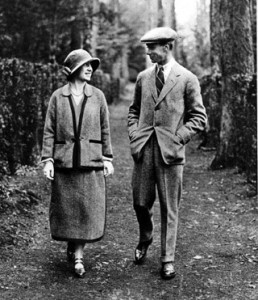 The royal couple went to the White House and later spent time with President Roosevelt and his wife, Eleanor, at their private Hudson Valley home in New York. One of the major reasons for the visit with President Roosevelt was to establish a firm political alliance with the United States due to the increasing hostilities in Europe which ultimately lead to World War II. 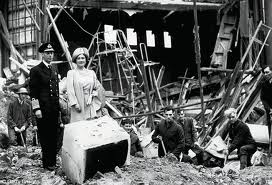 During World War II, King George and Queen Elizabeth traveled to the bombed areas of London caused by the Blitz to assess the damage and provide moral support to the victims. As she visited the East End to view the devastation Queen Elizabeth always dressed in her most elegant and expensive outfits that would normally cause anger in the poor people of that part of the city but she eventually charmed everyone with her gentle manner and constant smiles. During the most intense period of the Blitz bombings, King George wanted Queen Elizabeth and their children to leave London for a safer place but she refused to leave his side. 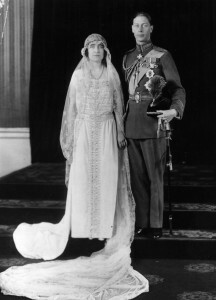 A compromise was reached and instead of sending the children to Canada as recommended Princess Elizabeth and Princess Margaret would go to Windsor Castle just outside of London for the duration of the war and the King and Queen would see them in the evenings and stay with them on the weekends. The King and Queen continued to work at Buckingham Palace during the week with a minimum staff and very narrowly missed several direct hits during the Blitz that caused extensive damage to the Palace. At the time, Queen Elizabeth famously stated that now that since she had personally lived through the bombing of her home she could now proudly face the people of the East End knowing that she experienced the same terrors of the war and in making this statement she gained the admiration of the public. After the end of the war, England started the slow process of recovery, rebuilding the damaged areas of London and adjusting to the economic hardships. 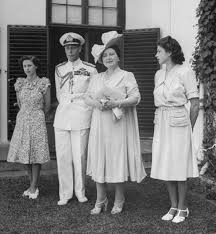 Then in 1947, King George and Queen Elizabeth with their two daughters embarked on an extensive three month royal tour of South Africa. 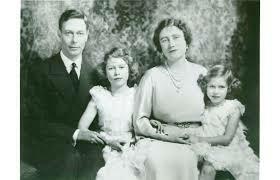 The royal family traveled from England on a round trip voyage across the Atlantic on the H.M.S. Vanguard which arrived and departed from Cape Town. 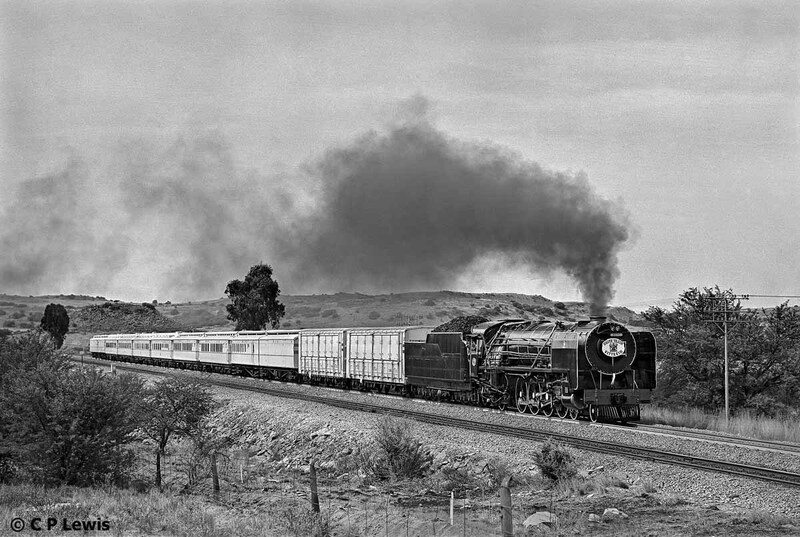 To begin their journey the royal family traveled aboard eight custom designed air-conditioned railroad cars that were painted an elegant ivory color, this is the reason it became known as the legendary White Train. The train transported the royal family across South Africa to destinations such as Victoria Falls. King George had been a very heavy smoker and combined with the stress of his royal position in solving the post-war problems of England this caused his health to rapidly decline. 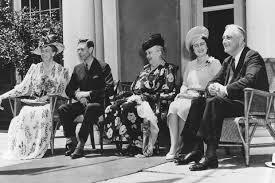 In 1948, a royal tour of Australia and New Zealand was postponed due to the King’s medical conditions. In early 1949 the King underwent a successful operation to improve the circulation caused by an arterial blockage in his right leg. Later in the year, he was diagnosed with lung cancer and underwent another operation to remove part of his left lung. Sadly in 1951, a malignant tumor was discovered in his left lung and his health condition continued to decline. As a result of his health issues and an extended recovery period both Queen Elizabeth and their eldest daughter, Princess Elizabeth, the heir presumptive, fulfilled the King’s public commitments. The delayed Australia and New Zealand had been rescheduled but Princess Elizabeth and her husband, the Duke of Edinburgh, would be going in the place of the King and Queen. In January 1952, the young royal couple left England on route by airplane to Kenya in Africa for brief stop before beginning their royal tour. There is a rather touching film of the King George and Queen Elizabeth waving goodbye to the couple as they board the plane for their trip and the King looks notably pale and extremely thin. 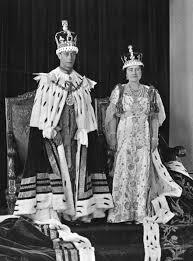 Sadly, King George died on February 6 1952 and Princess Elizabeth immediately returned to England as the new Queen. With the death of King George VI and the ascension of their daughter to the throne, the widow Elizabeth was given the rather grand title of Queen Elizabeth the Queen Mother so as not to be confused with her daughter the new crowned Queen Elizabeth II. The Queen Mother was completely devastated by the death of husband and she briefly retired from public life to spend time in Scotland. Scotland held a very special place in her heart because of her childhood spent at Glamis Castle in Angus, Scotland. While staying with friends during her mourning period shortly after the death of her husband, the Queen Mother found the charming but dilapidated Castle Mey located on the coast of northern Scotland with amazing views of the North Sea. Castle Mey was originally built between 1566 and 1572 as the home of George Sinclair, the 4th Earl of Caithness. 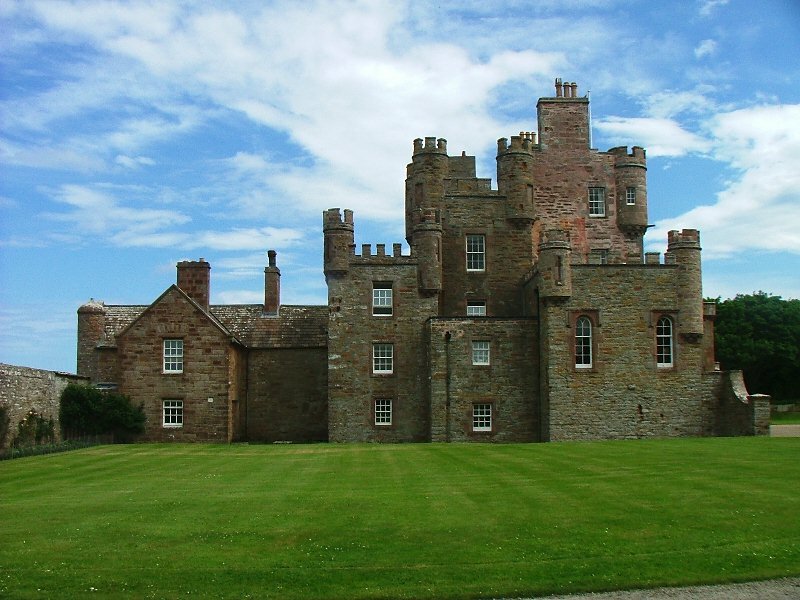 Over the centuries the castle remained within the Sinclair family until 1889 when George, the 15th Earl of Caithness, died unmarried and with no heirs to inherit the estate. According to the will, Castle Mey was given to his friend, F.G. Heathcote, and eventually his widow sold it to Captain F.B. Imbert-Terry who in turn sold it to the Queen Mother in 1952. At that time, Castle Mey was in a severe state of disrepair and the Queen Mother had extensive renovations made to the building’s interior and exterior while a beautiful garden was planted on the grounds. Over the years, the Queen Mother enjoyed spending her annual summer holiday from the months of August to October. With the encouragement of the former Prime Minister, Winston Churchill, the Queen Mother came out of her secluded life and brief retirement and returned to public life eager to resume her royal duties. Over the years, as the family matriarch, she charmed the public with her seemingly mild persona and frequent smiles to become one of the most popular members in the British Royal Family, she was affectionately known now as the “Queen Mum”. She continued an active life while taking on a full schedule of public engagements and she was also a patron of 300 organizations. The Queen Mother enjoyed a long life, spending time with her numerous grandchild and even great-grandchildren. In 1995, she had some health problems requiring two different operations, one was eye surgery to remove a cataract in her left eye and the other was hip replacement surgery on her right side. In 1998, she fell and broke her left hip requiring another replacement surgery. 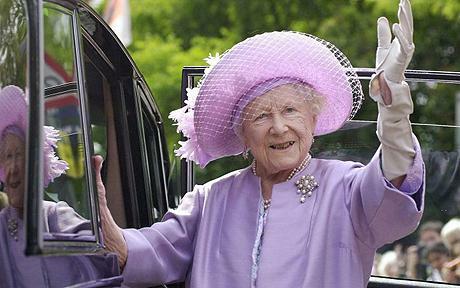 In 2000, there was a special reason for celebration as the Queen Mother turned 100 years old. To mark the occasion, numerous tributes appeared in print, both in the national and international newspapers and also several commemorative books were published, as well as numerous television specials and several public events. In 2001, the Queen Mother was recovering from a recent blood transfusion but she had recovered in time for her traditional public appearance to commemorate her birthday outside of her London home Clarence House. At the end of 2001, more health problems occurred when she fell and fractured her pelvis, she was also suffering from a severe cold. 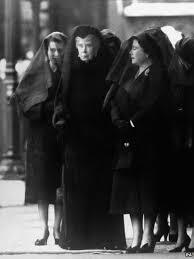 Sadly, Princess Margaret, the Queen Mother’s youngest daughter died on February 9, 2002 and because of her recent medical conditions it was a possibility that she would be able to attend the funeral. Arrangements were made and she was flown by helicopter from Sandringham House in Norfolk to Windsor Castle to attend the services at St. George’s Chapel but to be respectful of her privacy she was shielded from the press. After the funeral, the Queen Mother went to her home, Royal Lodge, located nearby where she continued to recuperate from a persistent cold she had since the Christmas holiday. The coffin was taken to Westminster Hall to lay in state and over the following three days more than 200,000 people filed past while members of the household cavalry and other branches of the British armed forces stood guard. On the final day, the Queen Mother’s four grandsons; Prince Charles, Prince Andrew, Prince Edward and Viscount Linley, stood at the four corners of the catafalque to show their respect. This was done once before in 1936 by the four sons of King George V prior to his state funeral and it was called the Vigil of the Princes. 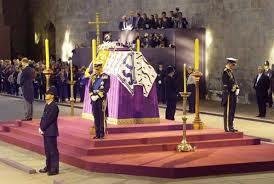 The Queen Mother’s funeral took place on April 9, 2002 at Westminster Abbey, years prior to her death the Queen Mother had planned every detail of her funeral including the symbolic request that after the funeral the floral arrangement from her coffin be removed and laid at the Tomb of the Unknown Warrior which was the same simple gesture that started a royal wedding tradition over 79 years before when Lady Elizabeth (the Queen Mother), then the new bride of Prince Albert (King George VI) placed her bouquet at the same place as a tribute to the brave men lost in World War I. The Queen Mother’s final resting place is in St. George’s Chapel at Windsor Castle where she is buried with her beloved husband King George VI.